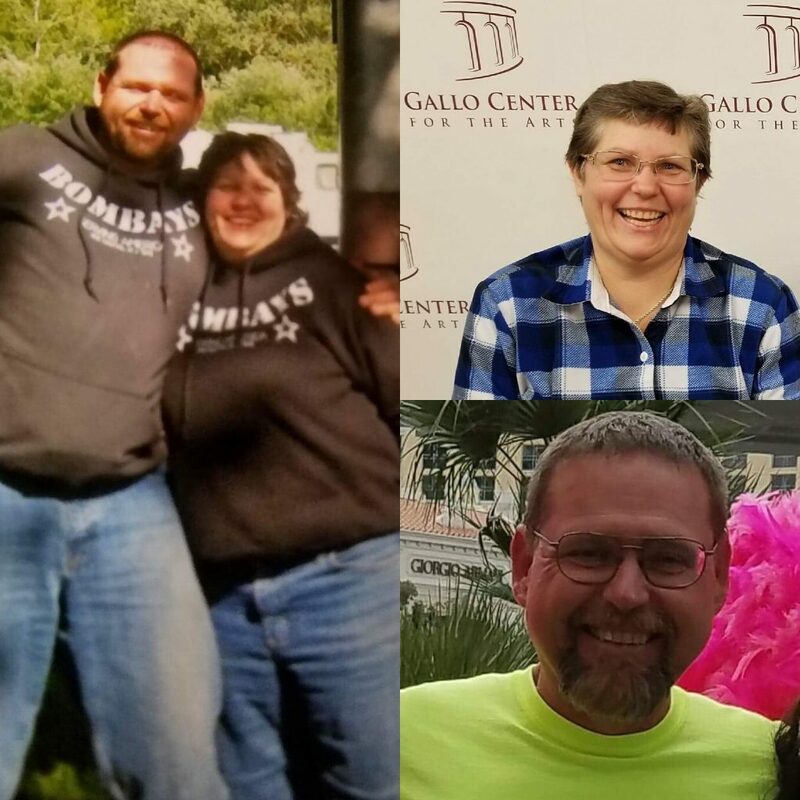 Barbara and Her Husband Lost a Combined 85 Pounds with the 30 Day Clean Eating Challenge! My name is Barbara and I have always had a weight problem. At one point in my life, I was morbidly obese. 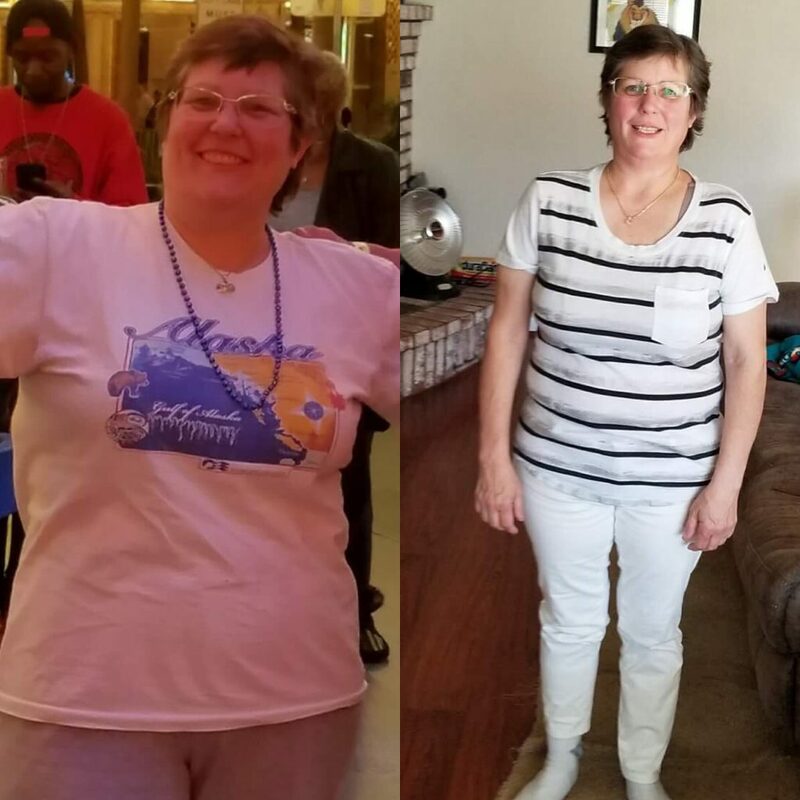 With the help of the 30 Day Clean Eating Challenge, my husband and I lost a combined 85 pounds and have begun to transform our lives forever! I’m 48 years old and I have been married for 26 years come this July. I enjoy spending quality time with my family and I have two dogs that I adore. I’ve been in the medical profession for 30 years. I worked as a US Navy Corpsman, (nurse) for 26 years and now I work as a care coordinator for a hospital in Modesto, CA. In my spare time, I enjoy traveling, camping, bowling and cooking/grilling. 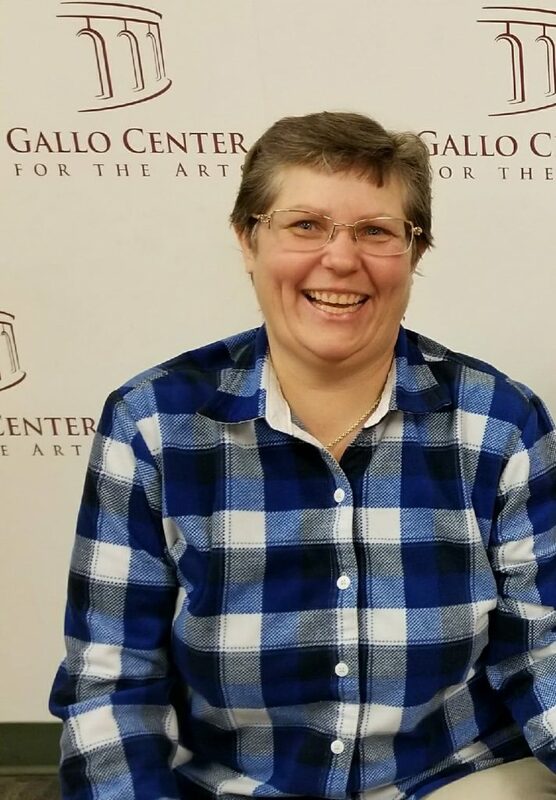 In April of 1998, my weight was 240lbs so I had gastric bypass surgery. The doctor said that the surgery was a tool and it must be maintained. I lost 100 pounds and felt great. I kept the weight off for many years, but eventually, it started creeping back up. I felt slow and sluggish; my triglycerides and cholesterol were getting worse and I managed it with medications. In March 2017 I got on the scale and was upset to see 195 staring back at me. I knew I needed to do something about this. I started researching and came across Rachel’s 30 Day Clean Eating Challenge and decided to take action. 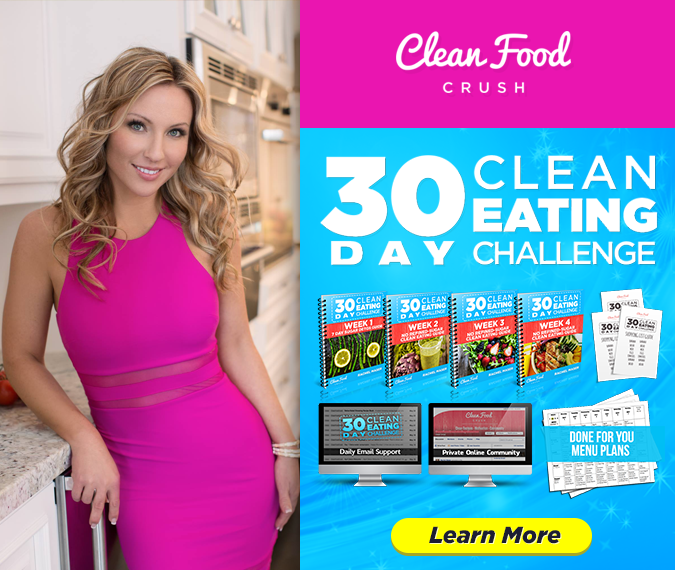 I found the 30 Day Clean Eating Challenge incredibly easy to follow and loved that it took the guesswork out of what and when to eat. I didn’t realize how bad my diet was until I started the challenge. At the time, I was drinking a 6 pack of mountain dew soda each day. I’d eat a salad with lots of dressing almost every day for lunch, wheat oat-nut bread for sandwiches, Idaho potatoes and lots of meat. I learned everything I could from Rachel and her team: Billie Jo and Daisy who offer daily support in the private Facebook group. I followed week one exactly and I dropped weight. I finished the first month and have decided to continue crushing as best as I can. 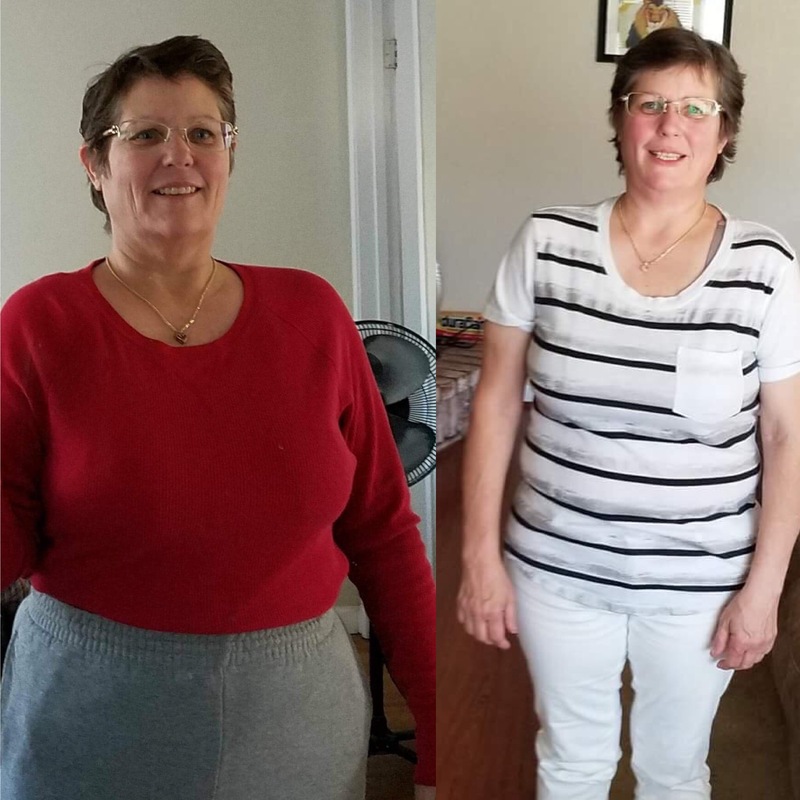 I went to see my Doctor in March 2018 and he was pleased to notice the weight loss. My labs were great… cholesterol and triglycerides were very good. I am off the medications now and will be doing a follow up soon! Today I am 150 pounds. I rarely drink soda and I’ve begun incorporating new, Clean Eating recipes into my daily life. I make granola, beef jerky, tortillas, and have also gone gluten-free as much as I can. 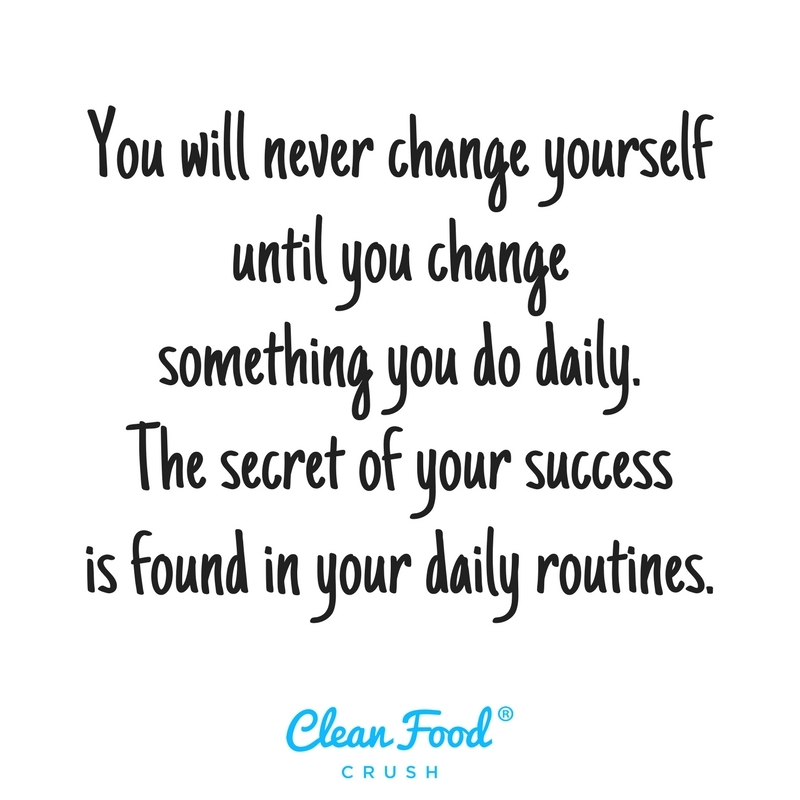 I have tried and begun to enjoy lots of new foods, and have learned through CleanFoodCrush how to read food labels better. My husband and I both like to cook and have fresh food for dinner so we don’t do dinner prep but I prep my lunches for the week and my snacks daily. My husband is very supportive and follows the plan with me most of the time. 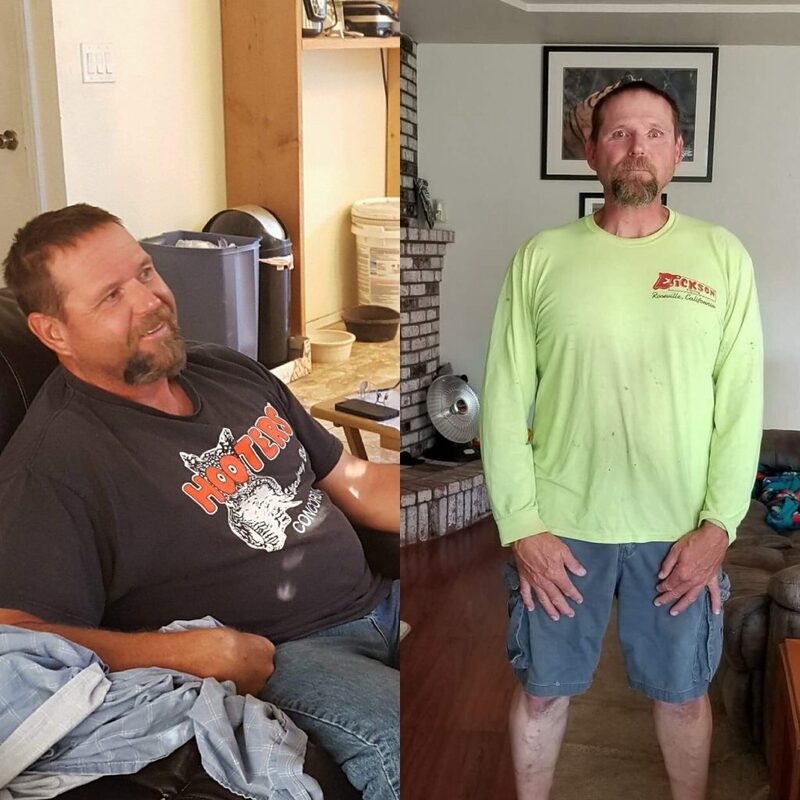 He was 260 and now weighs 220… he’s down 40 pounds and feels great! I have people try my food and they love it! Friends have even asked me to make healthy items for them, which I love since I always make plenty to share. If I could offer any words of wisdom from my heart to yours it would be this: just go for it! Let yourself receive the support of Rachel and her team and make your journey 1000 times easier. This program really works. THANK YOU RACHEL AND TEAM!